For me, the last four months have been filled with conferences & writing weekends, reading, writing, revising, critiquing, and lots of contests. Which means I’ve had plenty of chances to read not only my work, but the work of other writers. I’m not an expert, but I’m happy to pass along what I’ve learned in the hopes it will help someone along the way. Sentence variety. Shorter and longer sentences have their purposes, but there needs to be a mix of the two to get the right effect. This, along with grammar and word choice, is one of the biggest factors in having a smooth flow to your writing. Overused words. We all have these and once you know what they are, you can search and get rid of words you use too often- or make an effort to leave them out as you write. It doesn't mean you can't use them, just use them sparingly. What are those words? The ones I’ve seen most often are that, had, and just. But you might have your own too. Adjectives/Adverbs. Agents and editors are always saying they don't want them and writing books suggest you don't use them. It doesn't mean you can't use them some of the time, but it's better to let the dialogue and action speak for itself. You can also find other ways to describe things, rather than using common adjectives and adverbs. Dialogue Tags. Writing advice usually suggests using said and asked most of the time. Of course you can use something else when it’s called for, like whispered, but for the most part, other tags are often distracting and unnecessary. Especially when there are a lot of them. And make sure the tags describe the act of speaking, NOT an action unrelated to speech. You cannot shrug, smile, laugh, or even yawn words. You might do these things AS you speak, but it’s not the same action as speaking them. Filter Words. Readers want to experience things as the characters do, not hear about it from outside of the characters. Don’t tell us the mc sees something- show us what she sees. Examples of filter words are see, saw, looked, heard, and felt. These words take the reader out of the story. Plus, you don't really need them and it's stronger without them. Click here for a post on this topic with ways to get rid of filter words. So, how do you clean up your manuscript? You can do a search by using function F5 to find each time you use a certain word. You don't have to change them all, but it's a good idea to make sure you take some of them out. *If you use Find & Replace, be careful. You might want to check “find whole words only” –otherwise it will change any words that contain the “replace” word! Great suggestions, Dee! It amazes me that it doesn't matte how long I've been writing, I still have to deal with these "basics" when revising. All great tips. I'm still surprised at how many writers (and even published authors) use tons of "creative" dialogue tags--it's so distracting! Was an important lesson for me to learn. Keeping on the watch now for an overabundance of adjectives :) Thanks! Dee, thanks for the great example of how to get rid of filter words. It's something we can all work on. For the LOVE OF ALL THINGS, if you use Find and Replace, BE CAREFUL. My battle with "just" shall never cease. Thanks for the great reminders! Excellent tips. Thanks!! And The Emotion Thesaurus is awesome! I'm reading a published book right now that has every one of these no-no's. Last year I never would have noticed and this year it's all I can do not to take a red pen to the whole book! Darn you, awareness. Off to buy the Emotion Thesaurus:) Great post, as always! I catch myself using those filter words sometimes and am so glad someone brought it to my attention in the last year. Also, I find I'm constantly aware of varying sentence length, though when writing a first draft as I'm doing now, it pretty much falls by the wayside ;) Great tips! Thanks for sharing. Thanks for the great post, Dee. I had not heard of Pro Writing Aid, but it looks great. I think it's going to be very helpful, as I dig into my next novel! 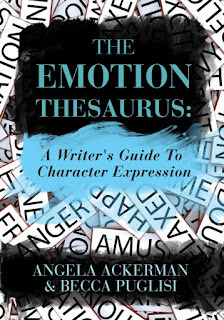 The Emotion Thesaurus is such a great resource! It's one of the easiest writing craft books to use because it's a reference tool rather than a book you have read through. Great list of editing points, btw. Yep- I've basically got all of these problem! :) This is a great checklist of revisions. I'm sure I'll be referring back to it often! Great post, Dee. I'm definitely guilty of overusing certain words (like "that") and using filter words. I try to pay attention to those things as I write, but it's tough when you're really into the story. Great post! I love the ebook of The Emotion Thesaurus. Super easy to navigate and so, so helpful. Thanks, Dee! My husband once said he read a book that always described a character as "pragmatic"--every single time. So that's another type of repetition that can be avoided. His complaint always stuck with me!